CodeDigital is a dynamic and energetic firm which has been providing network and server consultation services for small to medium-sized businesses since 2001. 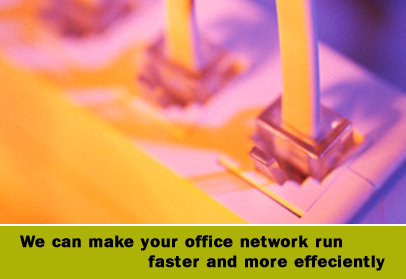 We understand what is needed to make your office network run faster and more effeciently. We specialize in installing, securing and administering Linux and Windows networks as well as open source software solutions. Designed around the needs and demands of its clients, CodeDigital focuses on customer satisfaction and is dedicated to the concept of generating growth. CodeDigital was originally founded in 2001 by ITCN NJ Web Design, Programming and Marketing, an established internet programming services firm. Realizing the demand for networking consultation services as well as application programming offerings, ITCN co-founder and NJ SEO Consultant Barry Wise decided to start a business which would offer the skill and expertise needed to deliver these services. In 2003, CodeDigital has been re-invented as a separate business entity apart from ITCN. It is now quickly becoming a recognized leader in network security and server installation services.